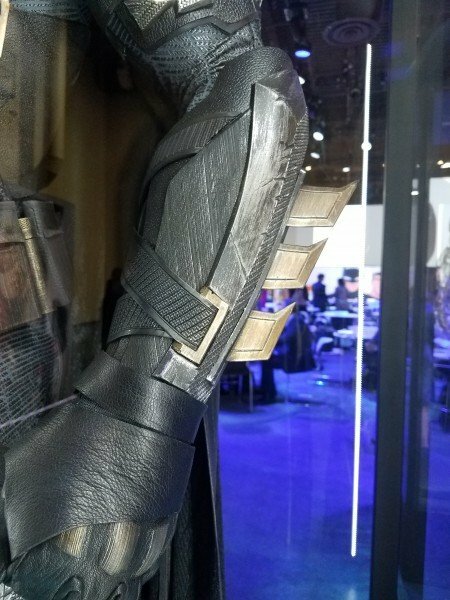 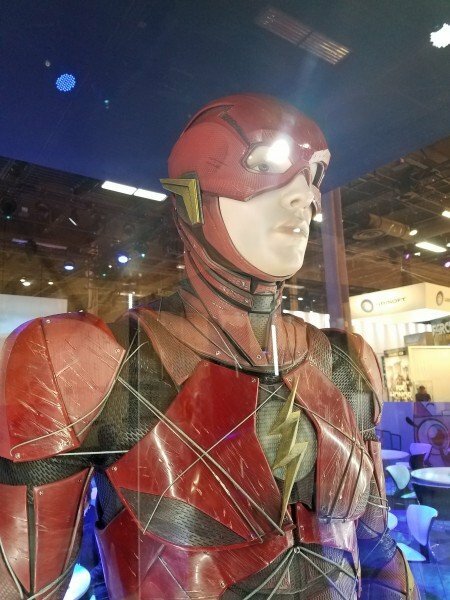 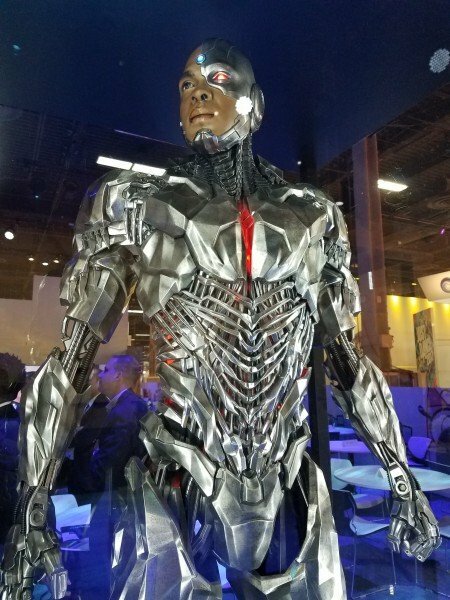 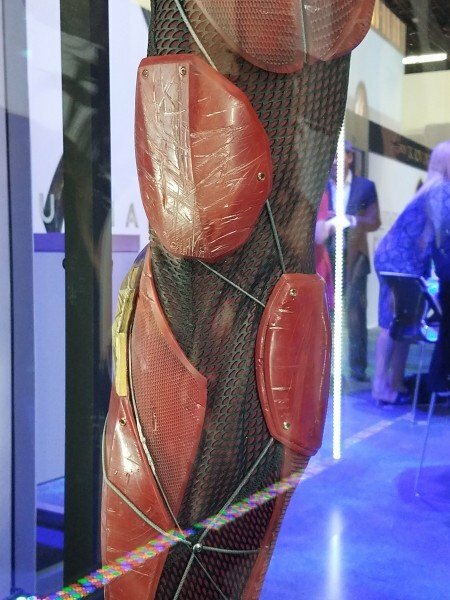 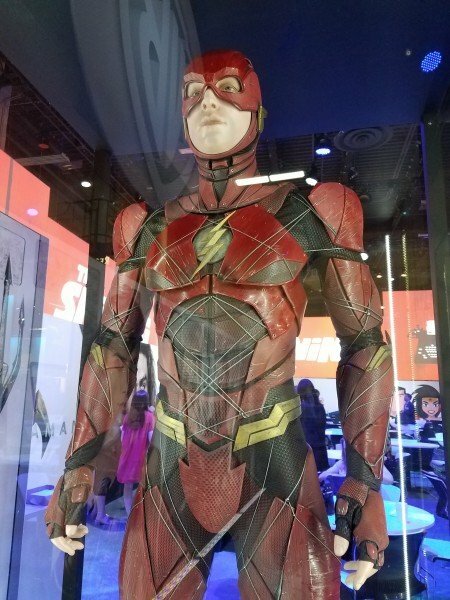 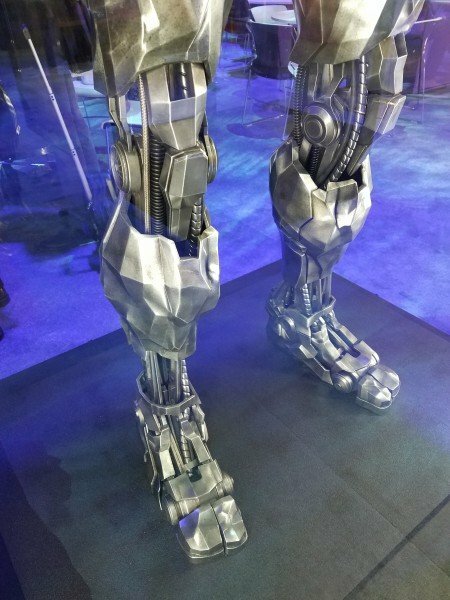 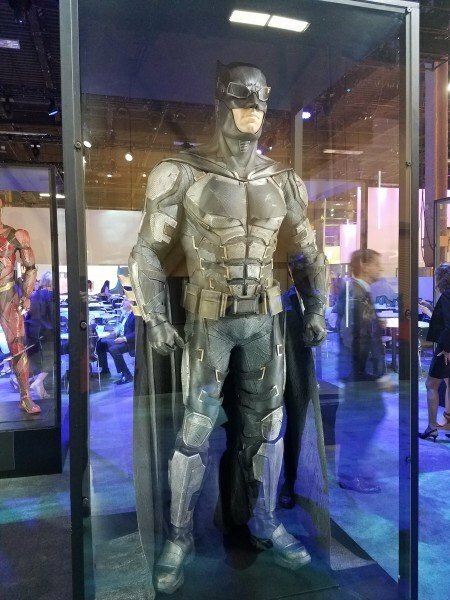 The Justice League is in attendance at the ongoing Licensing Expo in Las Vegas – well, sort of – and Collider has relayed a truckload of new costume shots to prove it. 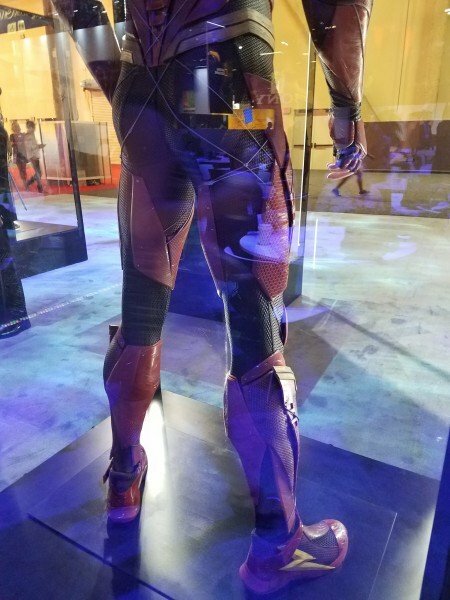 Embedded above, the high-res pics spotlight three of the six DC crusaders – namely Batman (Ben Affleck), The Flash (Ezra Miller) and Cyborg (Ray Fisher) – set to appear in Warner’s long-anticipated ensemble movie, and chances are that we’ll encounter another raft of photos before the day is out. 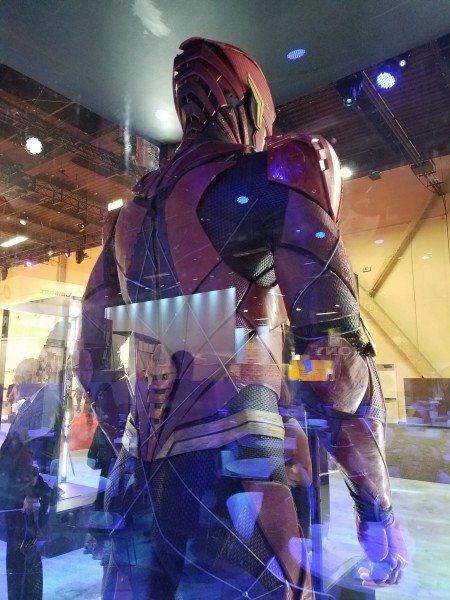 We’ll update this story if and when Collider posts more costume close-ups, so keep your peepers peeled. 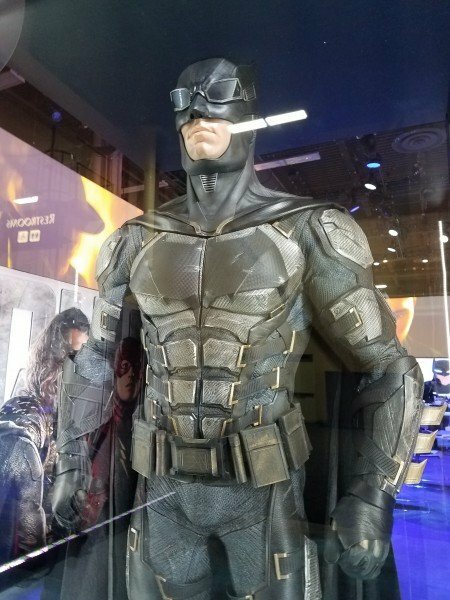 When it comes to the Caped Crusader, the gallery above features an early peek at what we assume to be another of Batman’s battle suits – replete with some rather nifty looking goggles. 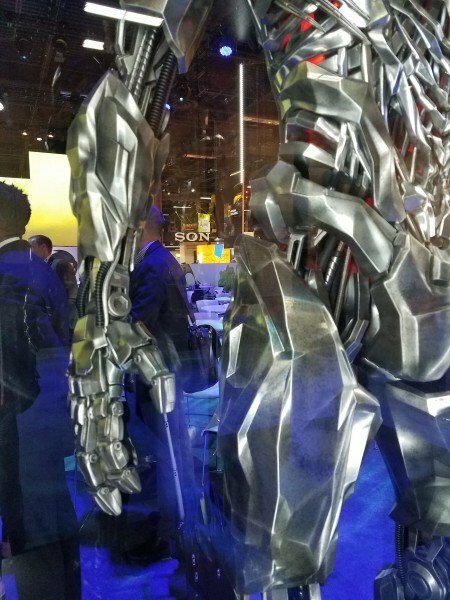 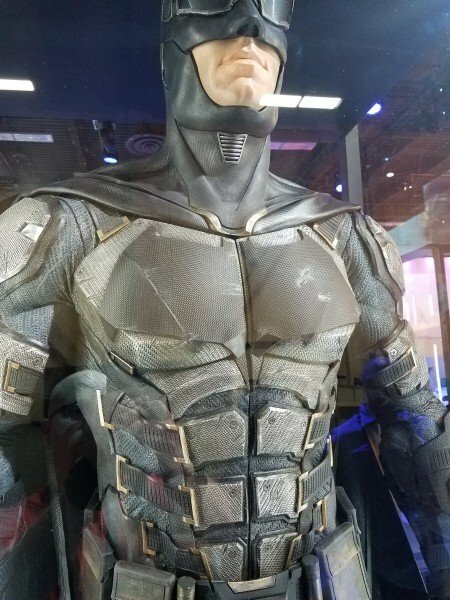 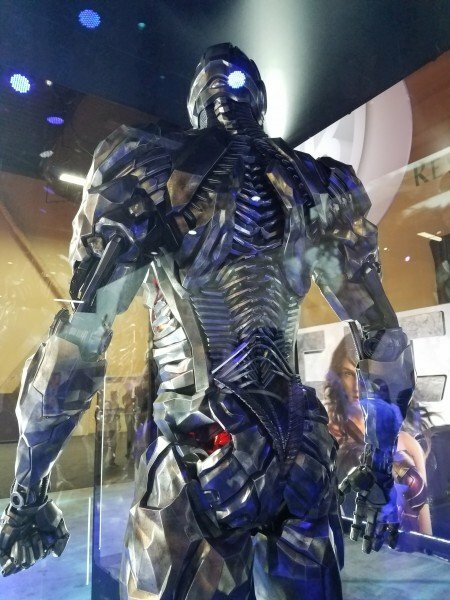 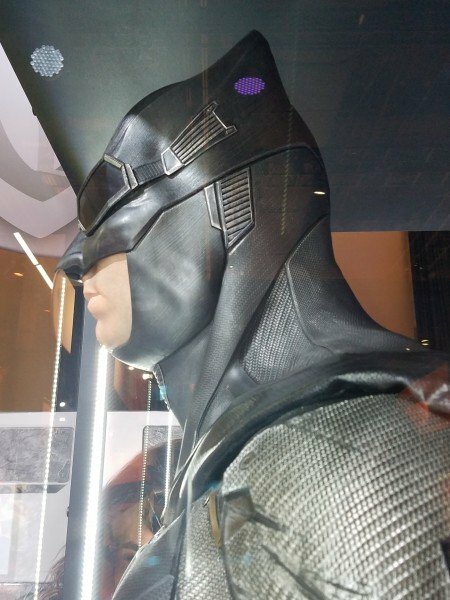 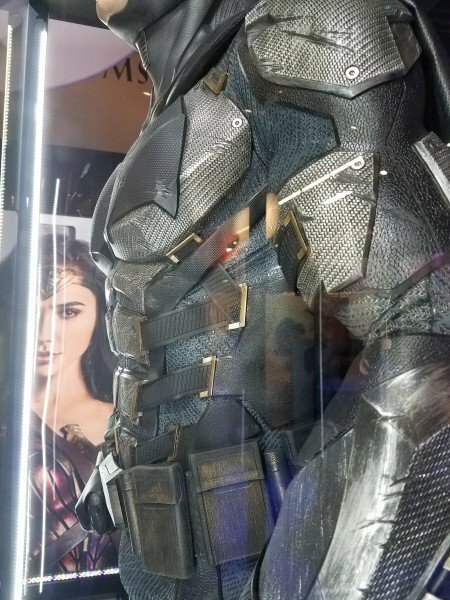 Upon further inspection, it’s fairly similar to the action shot of Ben Affleck donning Bruce Wayne’s cutting-edge technical suit, and fans will no doubt relish the opportunity to go up close and personal with the armor so far out in advance. 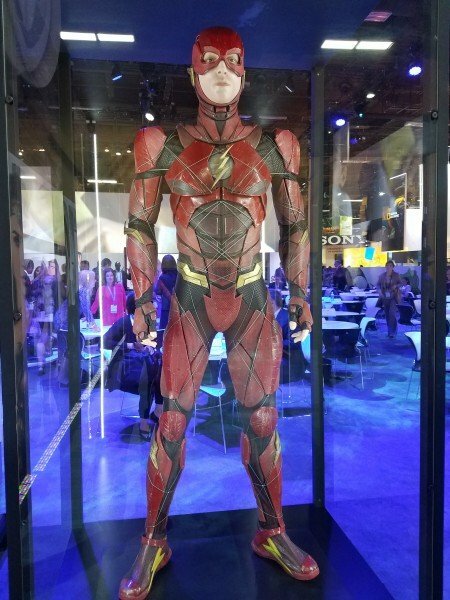 Ditto for The Flash, whose costume is clearly designed with aerodynamics in mind in order to ensure the Fastest Man Alive lives up to that reputation once the chips are down. 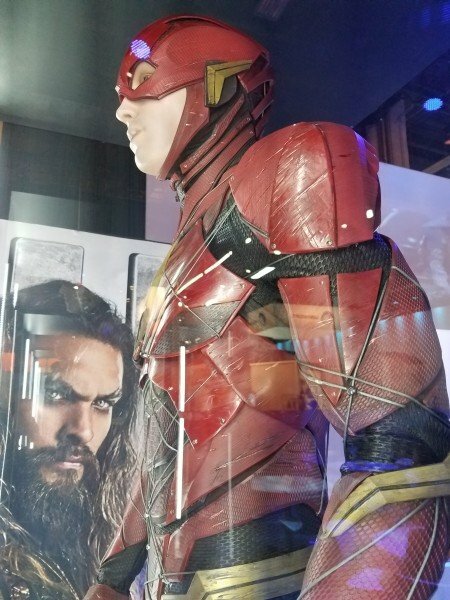 Finally, it’s worth pointing out that Cyborg’s costume is merely a model representation, as Ray Fisher’s suit will be rendered entirely through CGI wizardry in the final cut of Justice League. 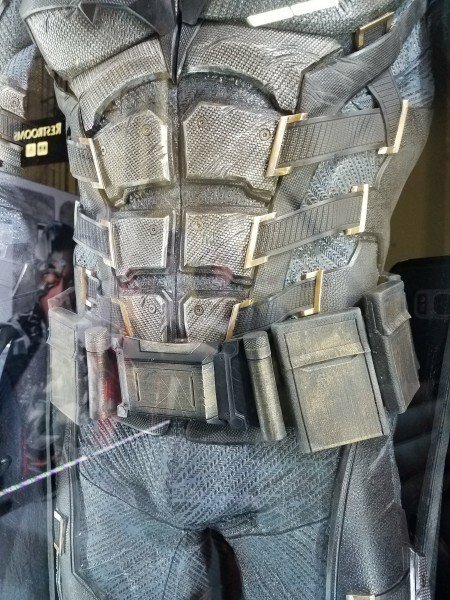 On the topic of the film’s production cycle, Warner’s tentpole is beginning to ease into post, though the studio has now appointed Joss Whedon (Batgirl) to shepherd Justice League over the finish line after Zack Snyder stepped down to tend to a family tragedy. 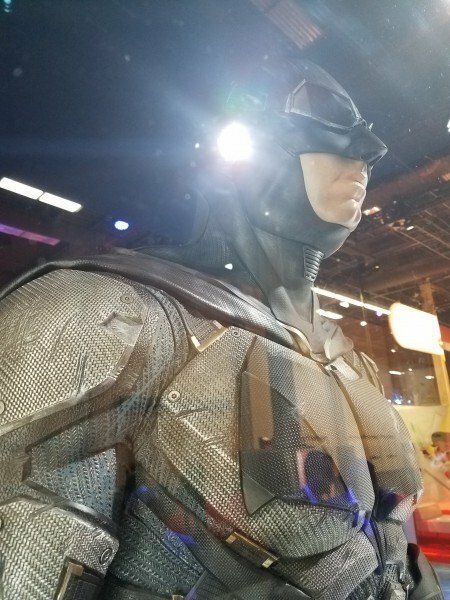 Our thoughts go out to the director, Deborah Snyder, and their extended family.